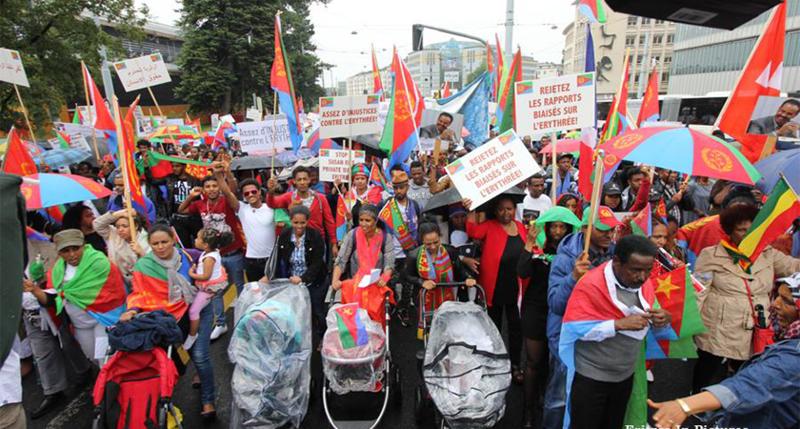 Thousands of Eritreans from across Europe flocked to Geneva to protest against the recent manoeuvre by the Commission of Inquiry (COI) on Human Rights in Eritrea, which is making a false politically motivated accusations and request the referral of Eritrea to the International Criminal Court (ICC). Since early morning the scenery of the quiet city, Geneva, was getting jam-packed with many Eritreans colourfully decorated with Eritrean flags, who arrived in many busses, cars, and planes from all parts of European countries including Belgium, Denmark, France, Germany, Greece, Ireland, Italy, the Netherlands, Norway, Sweden, United Kingdom and some from other parts of the world. The protesters are angry at the harassment of their country by the USA sponsored three-member commission of inquiry and view the recent move as sinister with the intention to destabilize the country in the name of human rights. Emotions are running high – as the mass of banner-holding protestors march in the city and finally settling at the UN headquarters, demanding not only for the rejection of the politically driven action by the commission, but also for all the hostilities to be stopped and demand the UN address the fundamental cause of the problem in the region namely the aggression and violation of international laws by the Ethiopian minority regime with full supported of the USA. 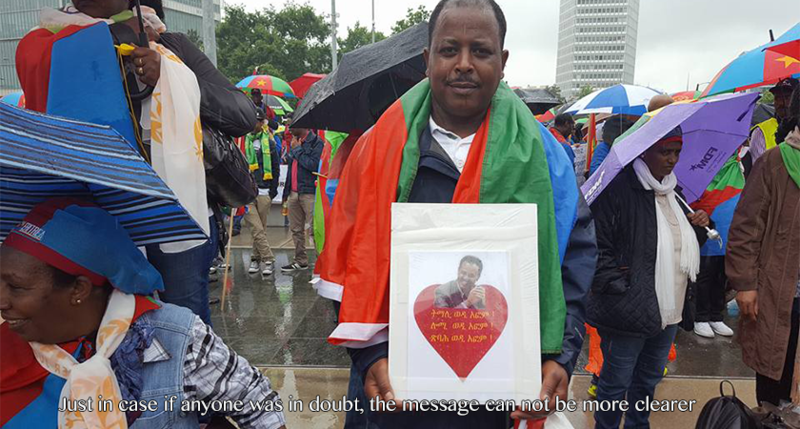 Eritreans are extremely fed up with the world system, referring to the decision of the UN well over half a century ago that resulted in so many deaths and suffering, the injustices of the recent times including the sanction imposed on Eritrea and the current plot in the name of human rights. 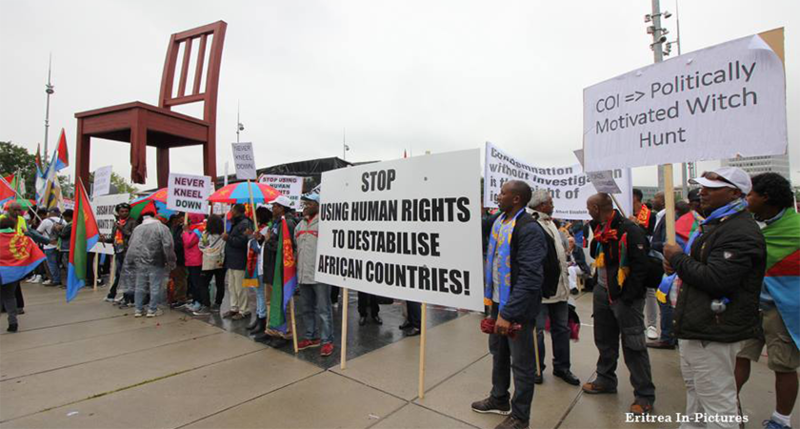 Fundamentally, Eritreans view the United Nation as a tool for the most powerful countries in the world, in particular the USA, to enforce its policies on other countries. Beyond looking at the consequences, the main causes of the havoc and instability in the Horn of Africa region is the direct role of USA and the roles of the governments and international organizations including the United Nations that are employed to implement these policies. 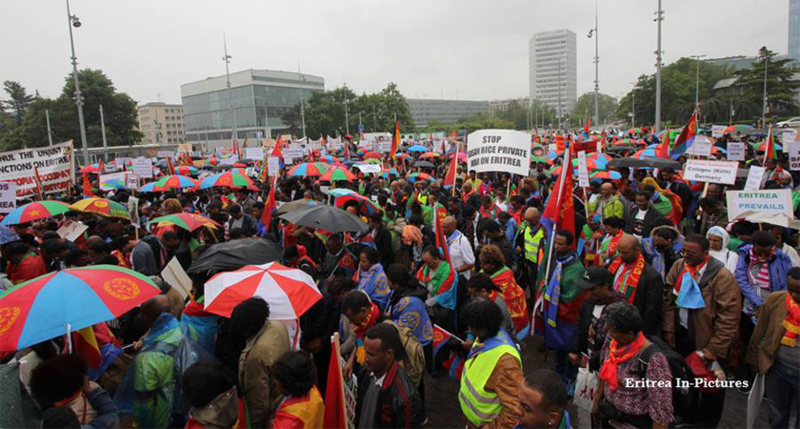 Here in Geneva, ironic questions are being asked – Is targeting Eritrea in the name of human rights really out of concern for the human rights of the Eritrean people or a pretext to impose a specific agenda against Eritrea? 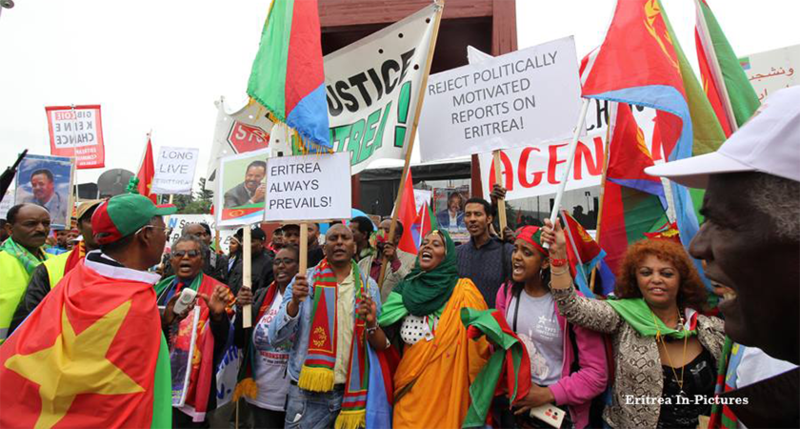 Why does Eritrea qualify for such scrutiny whereas, for example, the “Ethiopian” regime that has been gunning down hundreds of people in day light and committing horrific genocide against the Ethiopian people protected and defended by the USA? 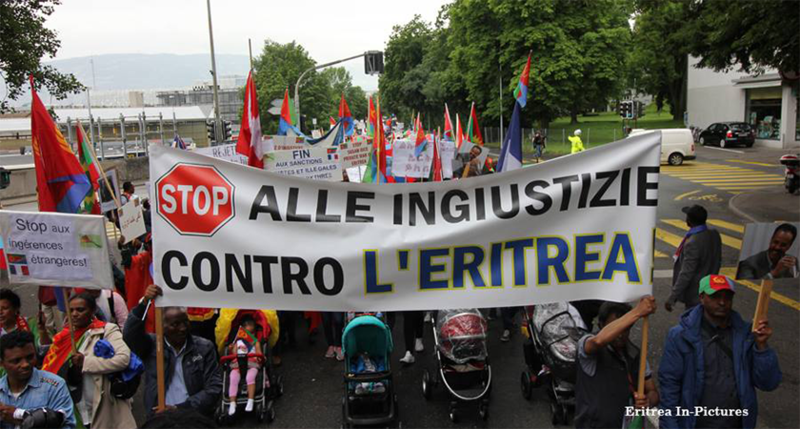 Is targeting Eritrea in the name of human rights really out of concern for the human rights of the Eritrean people or a pretext to impose a specific agenda against Eritrea? 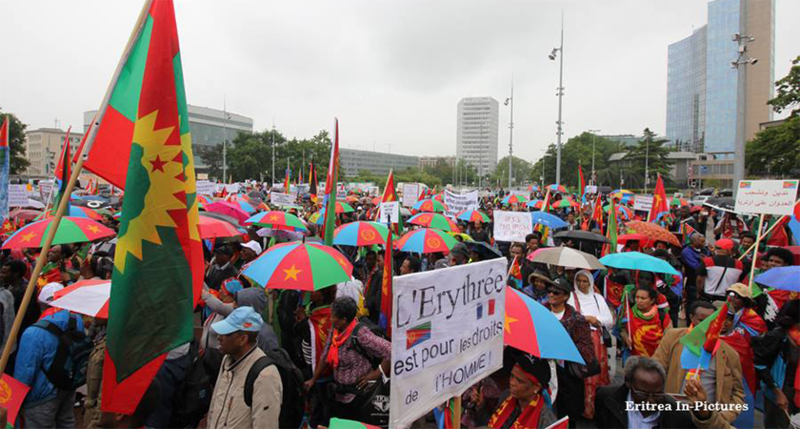 The feeling here is it is the United States that has been violating the collective human rights of the Eritrean people through becoming the main obstacle in resolving a legally concluded border problem and encouraging its allay, the “Ethiopian” regime to continuously occupy Eritrean territories. 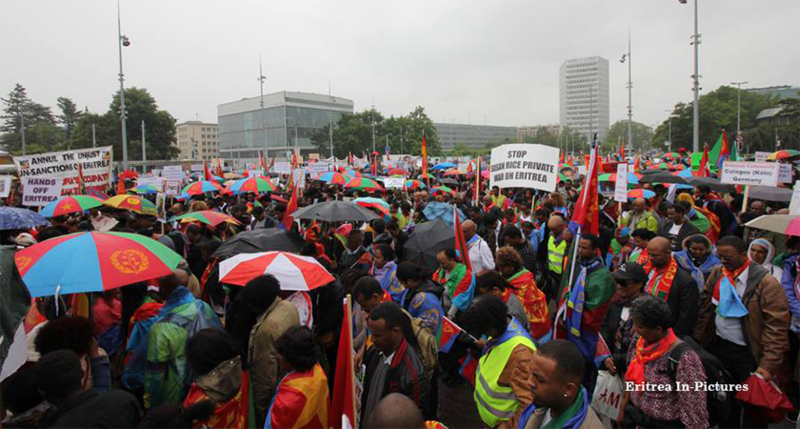 Furthermore, the United Nations has been the main tool in implementing hostile policies against Eritrea including imposing sanctions with the intention to bring it to its knees and at the same time protect its ally, Ethiopia. 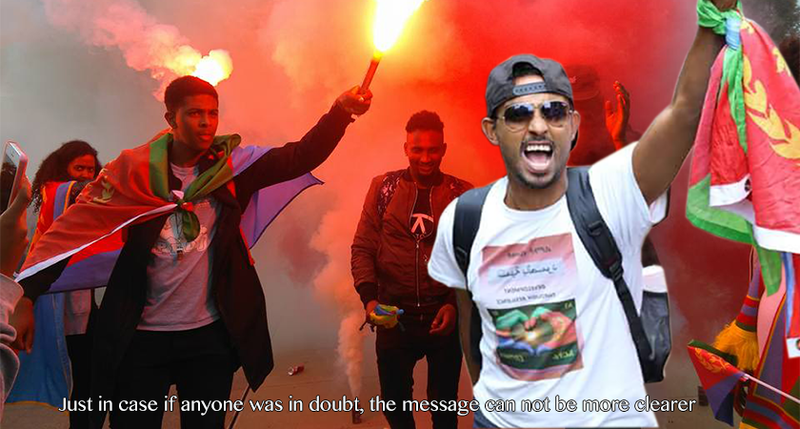 The human rights commission of inquiry is, therefore, one of the hostile measures, just as the so called “independent” monitoring group that manufactured fictional stories to justify the sanctions that were imposed on Eritrea in the name of United Nations. In a bid to get maximum publicity with the intention of tarnishing Eritrea’s image that would serve as groundwork for taking further hostile measures against Eritrea, the commission presented the summary of the report to the media, which was in great contrast with the recent times development, where distorted perception and narration of Eritrea, has been challenged by visiting groups, officials and diplomats who reside in Eritrea. 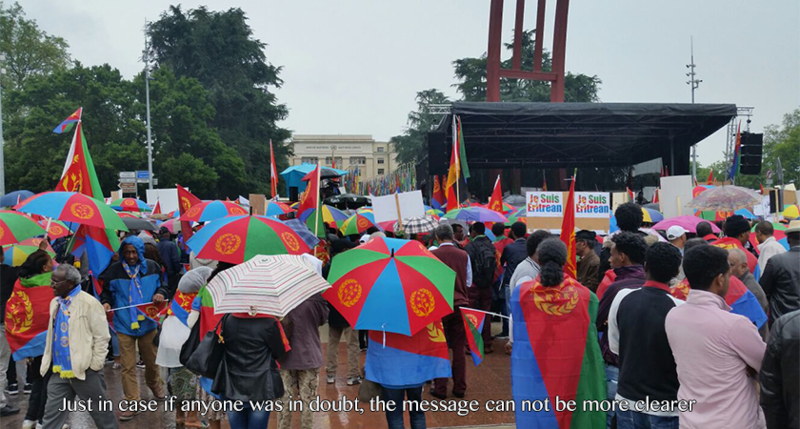 While, here at the UN headquarters, the anger, the sense of injustice and the desire to make their voices are extremely strong, the sense of patriotism, solidarity and resilience, amongst the thousands of Eritreans are even stronger. Representatives of the protesters are expected to meet with UN officials to deliver the message and discuss their demands. Yes, I realize I could comment on the article. But I wish people would stop wearing the head do rag. Just stop it already. The dust of COIE is about to settle down. Viva Deqi Halal Meriet Ertra! 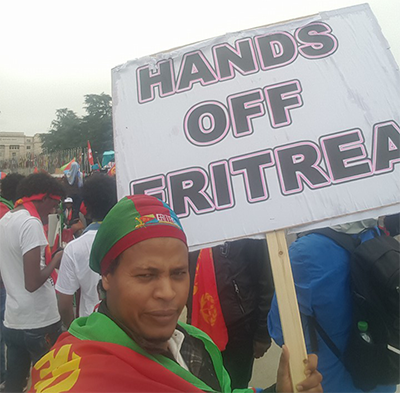 Hands off Eritrea!!! The real victims of the regime has demonstrated by tenth of thousands in the state of Israel. Fear of deportation…only reason …. And more will do the same on the 23/6!!!!! I guess the big boss must be happy of seeing adults caring his picture around as he was the only one who brought us indepdence, as the real heroes like Petros Solomon who led real battles are dying in prison cell. That is what i call an irony!! I didnt support the last sanctions from 2009 and 2011 becasue the reason were wrong, but i do support CIO becuase it finally adress the crimes commited against our people. The irony was on you since you are supporting the COIE that claims the abuse started from 1991 which petros Solomon was part of it. Moron! 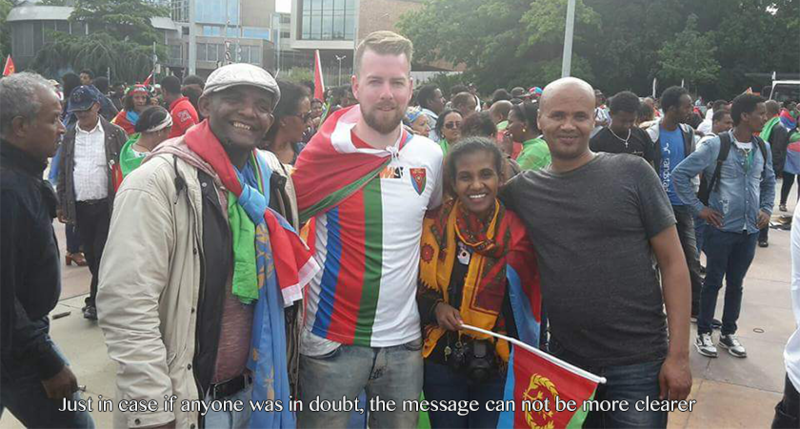 You cannot be an Eritrean and support the indictment of the nation’s independence and sovereignty at the same time? Any Eritrean who reads “since 1991” would have known the purpose. The sanctions of 2009 and 2011 and the COI have the same ultimate goal. The first 2 to disarm and to block investors by raising the perceived risk the last one to provide the cover for a Weyane invasion. If you are Eritrean ንቕሓት ኣደልድል! ወያኔ ኣይተጥቀዕን ኢያ ትብላና ኣይነበርክንን? ሕጂ ከ እንትይ ትብላ ትኾና? Selam MIK, I don’t think Bini is Eritrean. If he’s Eritrean, then he has to be the dumbest Eritrean alive because he can’t even comprehend the real intention of Mikes Smith and Sheila K.
You have the right to support CIO (aka COI) or even WOYANE. Remember, we are all responsible for every choice we make and we will all be judged by our stance. If you are Eritrean and one not driven by hate towards Isaias Afeworki, just remember this US or UN organizations are the same offices, we Eritreans are where we are today. The United States of America and United Nations are the main culprits and are the main reason we have Isaias Afeworki, Petros Solomon, as well as over 100,000 Martyrs. 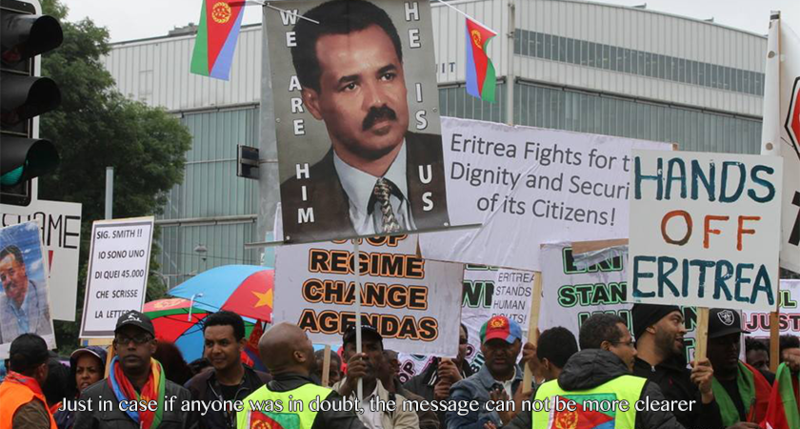 So it not about Isaias or Petros, this is about Eritrea, as we all would like it be free of foreign interference. If you are someone who truly care for Eritrean human rights, and suppose PFDJ have committed those crimes, they allege, why not complain to UN of all the human rights abuses against Eritreans before 1991 by Ethiopian leaders supported by UN, USA and Soviet Union? It won’t help your case, if you are going to be driven by hate toward one or more officials. The G15 are the same breed of EPLF, if they were in power, they will be doing the same thing PFDJ is doing (Good or Bad) right now. If Petros Selomon was in office and Isaias Afeworki was in Jail, the US and UN will be treating us the same way, as their problem is only Independent Eritrea. Protect the people from the gross human violation ilom adeqa entedebdebuwa kem libia teqebelo? wala kem soria entegeberuwo tedegefo? i’m sure you’re aware that they don’t mind about Nor petros, nor any Eritrean citizen who seems to ask their protection, what they simply need is to dismantle a system that doesn’t match with theirs, in short they need to settle a system that choices the interest of the corporations and multinations instead the People. Nay amerika latin tariq anebeb emo dahar fred. Listen, COI and UN never fix any problem. 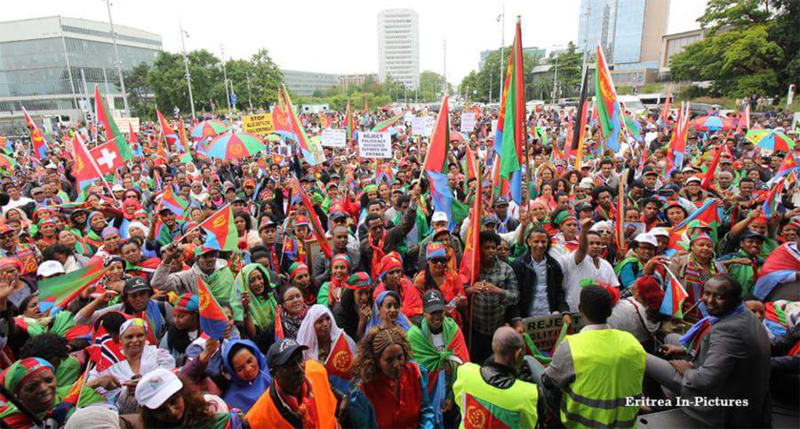 This is nothing to do with the human right situation in Eritrea. You need to wake up before is too late like libya. thats is how they started to destroy it by talking about human right issues. ask any libyans now if it was better then and now. so please nab lebka temeles if you are Eritrean. where was UN when over 70 thousands Eritrean kicked out from Ethiopia, where was UN when Eritrean people bombed to the ground in Massawa in 1990, where was UN when Eritrea was Annexed by Ethiopia after Federation, where was UN during 30 years of war for Independence when Eritreans were killed just no other reason than for being Eritrean , please Young Eritreans lets not be fulled. You r really unjustful. It is only one person who could be a leader and it is him PIA. Why write such comment? It is not only PS who is in prison. An answer is given already. We have to wait but our sovernity comes first. What can one expect from a man who cant even defend his family, to defend his country and people!!! This is a guy who made sure that his former wife the famous Senait Debesay to be imprisoned for years without a day in a court, no one knows if she is alive. He will definetly be one of the candidates for ICC!!!! Senait we wont forget you!!!!!!!! I don’t think you understand the report, maybe you should ask someone to explain you line by line and the easiest way you could understand. If you are an eritrean and supporting this report, you should hate yourself and may be shoot your brain out since the report also attacking your culture. Don’t be ashamed for being stupid so ask! 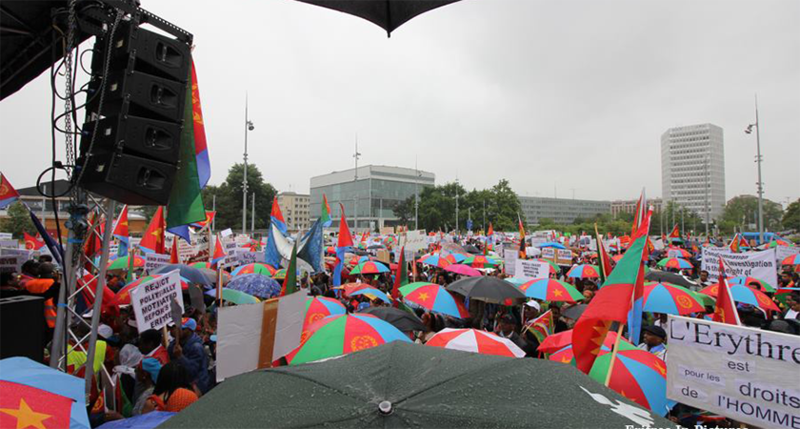 I would like to pay my greatest appreciation and admire to the Eritrean heroes who marched in the streets of Geneva in the midst of harsh weather. 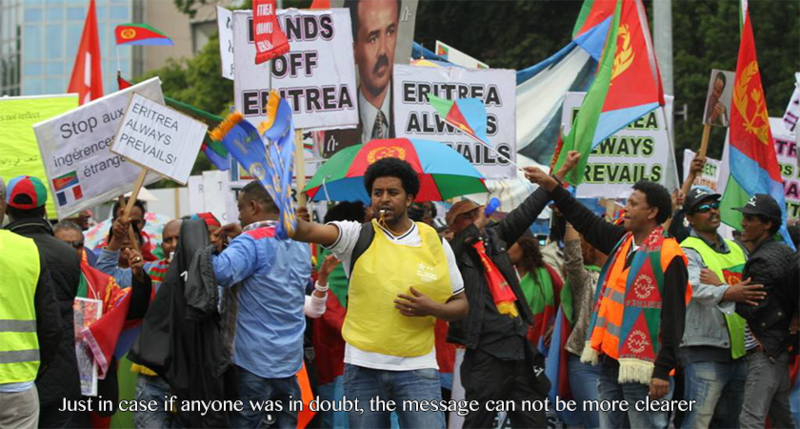 We stand with our people and government and show our support to the gallant Eritrean Defense Forces. 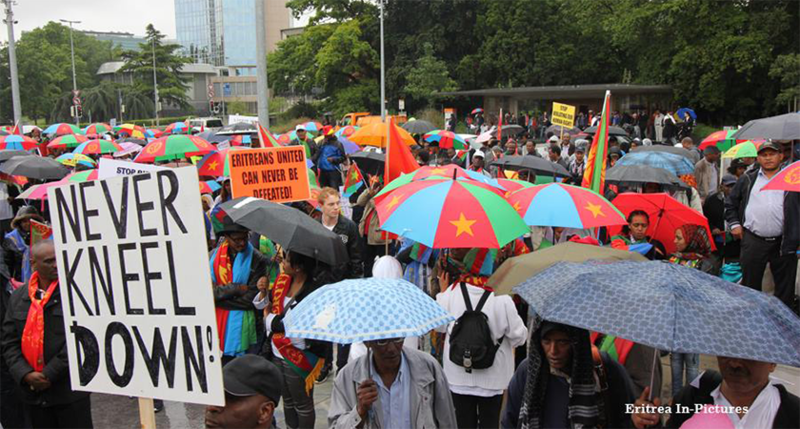 Ethiopia, they don’t understand that conflict causes death, poverty, and disease. Once their hope is shattered and lose their focus they rise their ammunitions and invade a sovereign state. This desperate move is a good indication of Tigrians (TPLF) demise. This is not about our defence force but about the tyrant Isias & his carriage. They denied thousands of eritrean justice even most of them their whereabout remain unknown.it’s their time now to stand for trial pay the price for the crime committed for +40 yrs. 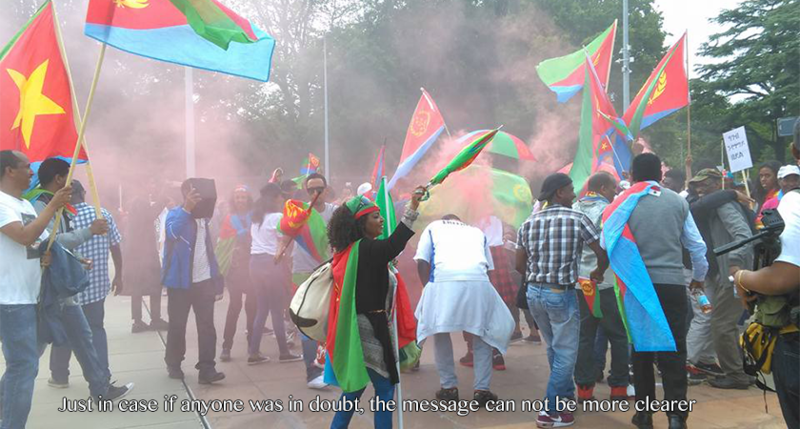 Take back what you wrote and stand by the eritrean people have been a victim of this inhuman act. Isias & his carriage are too dangerous to be left walking around. Soon hey will be behind the bar. The grave of our martyrs are spoken – save our people and beloved country from the tyrant Isias Afeworki & his messengers. Enough is enough. I doubt you are an eritrean, but if you are an eritrean your blood line must be from those traitors who were advocating in 50s and 60s that Eritrea should be federated with Ethiopia. 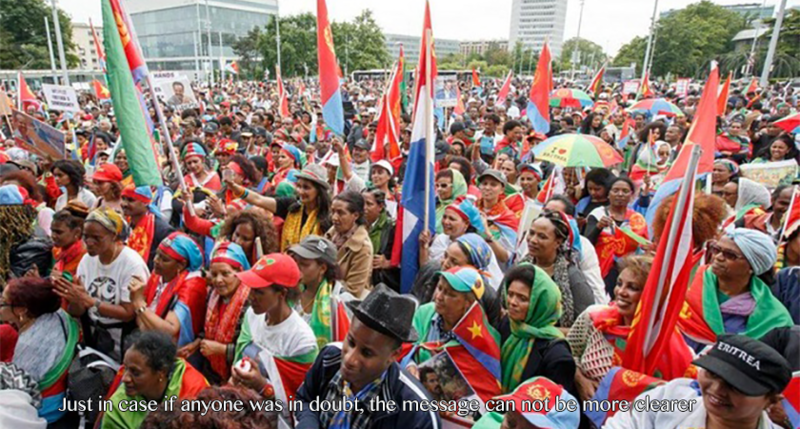 With all i went through in life for just being Eritrean,when i see my people get together for a common and collective cause and survival.I say i am proud to be Eritrean and i will never trade it.I didn’t chose to be Eritrean,i just born Eritrean.Zelealemawi kbri n sweatna awet n hafash.Love you Eritreans and i am glad to be one of you. I am getting Goosebumps of Joy, when I watch thousands of my people demonstrating against the corrupt US and UN officials. 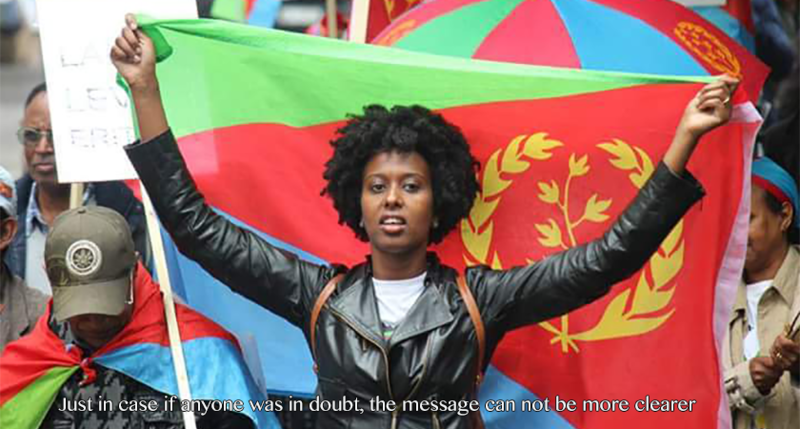 As always, proud to be Eritrean. Under the selfless Shaebia leaders, we will be victorious by denying the evil plans of our enemies. 230,000 Petitions, 45,000 Testimonies to COIE, 850 who asked to PRESENT themselves to appear in person in Geneva and give their testimonies to UNHRC and more than 10,000 DEMONSTRATORS.